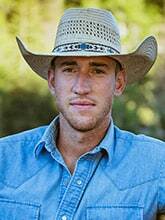 Colter DeVries was raised on his family’s 1906 homestead in Roberts Montana. He earned Finance, Agricultural Business, and Entrepreneurship degrees from Montana State University while on the Polo team and keeping active in business clubs. During college he also worked as an Analyst and Commodities-Market Researcher as well as Agronomist. Immediately after graduation, he pursued a career with Wells Fargo as a Commercial and Agricultural Business Relationship Manager. Leaving the Banking Industry to take on farming and ranching full-time, he has now taken up studies in Permaculture Design, Holistic Management, and Agricultural Production Systems. Colter is licensed in Montana.